The Hexagonal Sandpit wooden lid is designed specifically for a 1.5m Hexagonal Wooden sandbox (model 2014 onwards), this sturdy lid can be an extra level of protection for your sandpit or even used as a table when the sandpit is not in use. The lid is in two sections making it easy to take on and off, it is also possible to fold back half the lid if you would prefer using half of the sandpit. While protecting your sandpit this cover also gives it a really nice finish with its natural wood finish. 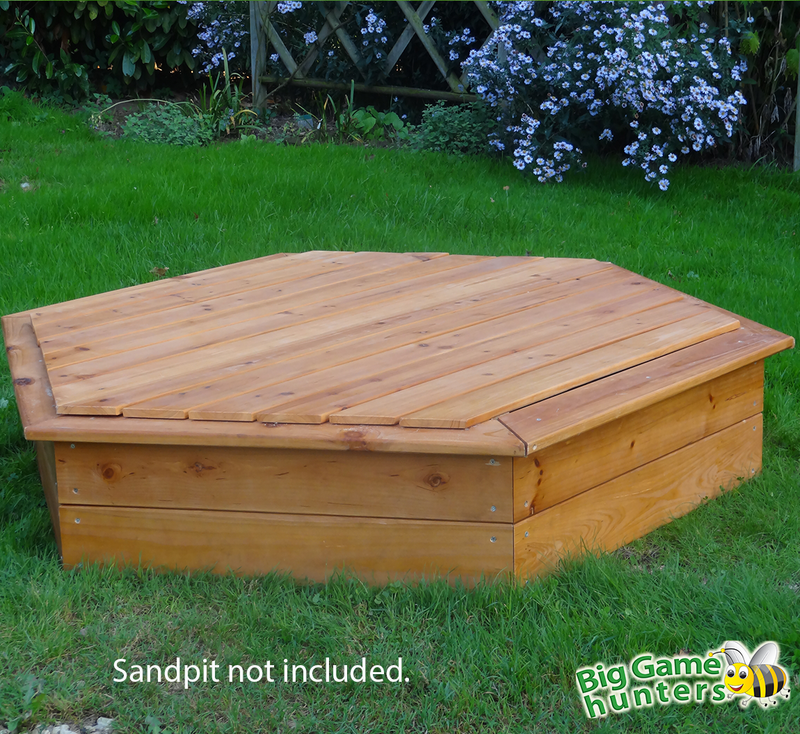 Please note this will only fit the 1.5m Garden Games Hexagonal sandpit 2014 Model.